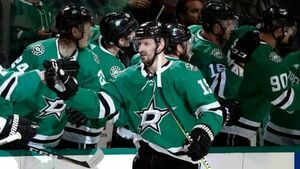 John Klingberg scored from the left circle 17:02 into overtime and the Dallas Stars beat the Nashville Predators 2-1 to wrap up their first-round Western Conference playoff series in six games. 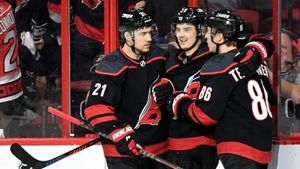 Jordan Staal scored the go-ahead goal and added an assist in the third period, and the Carolina Hurricanes beat the Washington Capitals 5-2 on Monday night to force Game 7 in their first-round playoff... series. 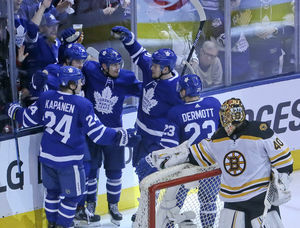 The Columbus Blue Jackets and Colorado Avalanche pulled off shocking -- and shockingly dominant -- series wins in Round 1 of the NHL playoffs. 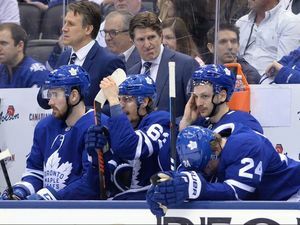 Can they keep that momentum rolling? 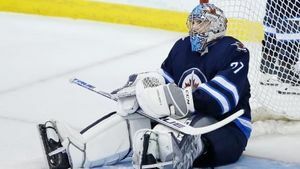 General manager Kevin Cheveldayoff says an upcoming summer of "tough decisions" means changes are on the way for the Winnipeg Jets. 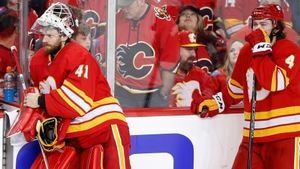 Calgary Flames players, fresh off a first-round playoff exit, believe the team has the talent and personnel to win a Stanley Cup, but need to figure how to get momentum and keep it in the post-season. 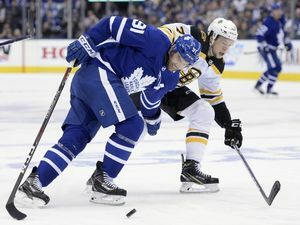 Bruins coach Bruce Cassidy says he has spoken to an NHL referee supervisor about what he sees as questionable skating tactics being used by the Maple Leafs.